Quite possibly more exhilarating than flying in one of those bat suits, combining two high risk activites into one neat package. Speedflying is similar to low altitude airplane flying in that you’re travelling at high speeds close to potential obstacles like trees and rocks which will ruin your day if you misjudge distances. A disclaimer on one site states: “Problems arise when inexperienced Speed-Flyers are unaware of the number of things that can go wrong at any time – during take off, while in the air, on the ground, and during landing.”. That pretty much covers everything. If that video didn’t inspire you have a look at this one involving a speedflyer riding the top of a cable. Aerobatics seem tame by comparison. I have a number of things on my bucket list. This didn’t make the cut. Three unusual aircraft accidents in the news recently. Most aviation accidents follow a known accident sequence, such as fuel exhaustion or inadvertent flight into IMC. Many times, the outcome is tragic but predictable. I’ve never heard of a plane downed by a reptile…until now. An L-410 twin turboprop crashed killing the pilot and 19 others after a crocodile smuggled in a duffel bag escaped, causing a stampede toward the front of the cabin, throwing the aircraft out of balance. This was in the Republic of Congo and obviously no X-Ray machines . I can’t help but wish that a TSA employee with an attitude had opened that bag for inspection. Next up: A powered parachute tangled with a balloon. 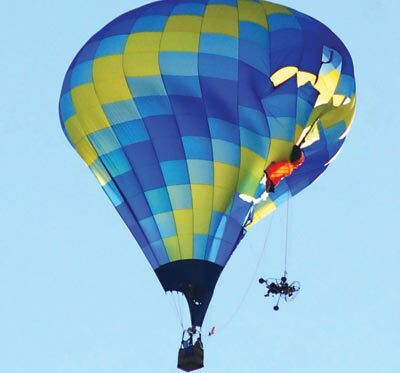 One of the paragliders in the Arizona Airfest got a little too close to a hot air balloon, became entangled in the ropes, and tore the balloon fabric, causing it to deflate. Both aircraft fell about 500 feet from the sky severely injuring everyone. A balloon has virtually no maneuverability and this knucklehead got as close as he could. Note that a balloon has the right of way over any other category of aircraft by regulation. Criminal charges will be forthcoming. 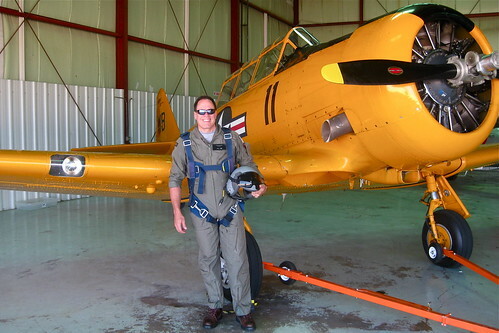 Lastly, while there are unfortunately hundreds of light airplane accidents every year, it’s rare for a pilot to be equipped with a parachute for egress in a general aviation plane unless he /she is performing aerobatics. Supposedly, the pilot bailed out after experiencing control failure in a single-engine Aero Commander. Just a little too convenient to be sitting on a chute which isn’t all that comfortable. Reminds me of this guy. Here’s something new: An arrest for FUI or Flying Under the Influence… in California. How did it take so long for “the system” to finally catch up with this goofball? 1,200 hours without a license and ostensibly much of that time incapacitated. Not that we need more regulations but it baffles me that this one slipped through the net for years while well-known and respected aviation educators John and Martha King were recently surrounded by three squad cars with guns drawn and handcuffed in a case of mistaken (aircraft) identity. Avweb reminds us that some pilots out there don’t belong behind a yoke. Joe Kirbow is one of them. My travels around the country took me to Meridian Mississippi , hopefully to drum up new business. My airport destination: Key Field. There’s a small pax terminal next to the 186th Air National Guard and NAS Meridian is 20 miles northeast. Key Field was named after Fred and Al Key established an endurance record in their Curtiss Robin with 27 days aloft. A few displays in the small terminal area gave witness to their feat and it was scary stuff indeed at that time. Flying in shifts, the men maintained the plane by stepping outside on a catwalk that went around both sides of the engine. In those days, rocker arms had to be oiled but not usually while hanging on a scaffold with prop blast in your face at 3,000 feet. Fred actually fell overboard once and was saved by a strap. Meanwhile, Fred had two mishaps while acting as crew. Once he was momentarily stunned when the heavy refueling hose slipped out of his hands and struck him in the face. Later, when he was on the catwalk greasing the engine rocker arms, Ole Miss hit a pocket of turbulent air, bucked and tossed him overboard. An amazing story that proved air to air refueling would work using a cutoff valve similar in concept to those used to keep bombers and fighters aloft today. That was useful. This is not. Chet and Matt Pipkin plan to set a new record for time aloft in an airplane, a record that currently sits at 64 days, 22 hours, 19 minutes and five seconds. Most figure eights with a kite: 2,911 figure eights in one hour set in 1988. Longest midget toss: Yes, this is actually tossing a little person and it is an annual event. The record is 11 feet 5 inches. Fastest Furniture: 87 mph. This sofa is actually street legal. It won’t paint GA with a positive brush nor will it encourage people to become pilots. I’ve seen the current record holding airplane in the Las Vegas airport. 64 days back in 1959. It ‘s appropriate somehow in a city where multiple Elvis’s roam the streets. The Pipkins supposedly plan to raise money for charitable causes with the flight, which is admirable. They better raise a lot since the costs aren’t trivial. I estimate 93,000 pounds of fuel at a cost of $73,000. It’s not wrong to challenge yourself, to establish goals. Son #2 will train six months to compete in the Ironman this summer. Staying aloft in a light plane for more than two months without going anywhere is just another goofy stunt to break a record.